As comfortable in all weathers as they are on your feet, the iconic Vierzonord is the boot of choice for everyday country life. 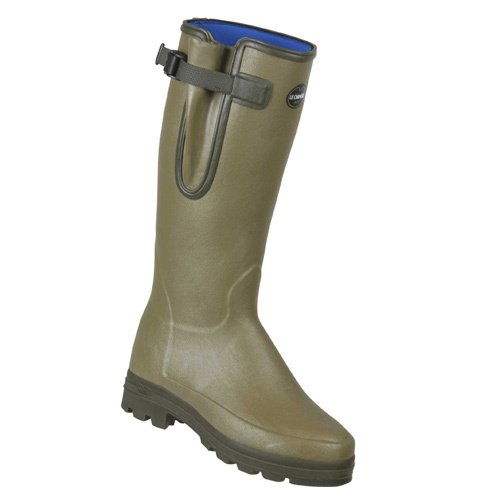 Famous for being the first rubber boots with an adjustable, waterproof gusset, the Vierzonord boot also boasts an insulating neoprene lining that will keep you comfortable and warm all day long. A tightening strap and snap-fastening button ensure a perfect fit around the calf, while shock absorbing and anti-fatigue dual-density Grip outsole resists abrasion and is suitable for all terrains.